Christmas is just around the corner and there are tons of great deals to be found, like our featured deal today for a Moto X Pure Edition 32GB Unlocked GSM CDMA Smartphone preloaded with Android 5.1 Lollipop for only $350. There are also some great HDTVs, electronics, gadgets, and computer deals curated by our partners at TechBargains. The holiday shopping frenzy is on and many of these deals are expected to sell out so if you see something you like, act fast and get it now on sale. 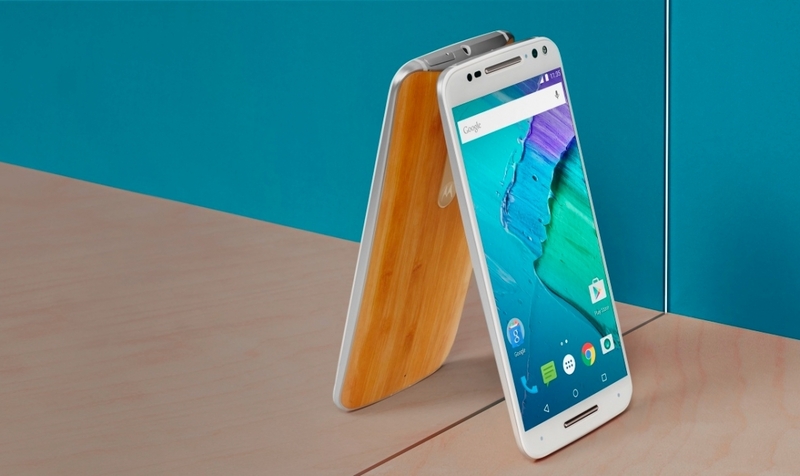 Moto X Pure 32GB 5.7" 2560x1440 Smartphone (Unlocked CDMA & GSM) for $349.99 (list price $449.99). Bose SoundTrue Around-Ear Headphones w/ Inline Mic & Remote for $79.99 (list price $169.99). Amazon Deal of the Day - Up to 60% off Logitech PC Keyboards, Mice & Speakers Logitech Wireless Anywhere Mouse for $26.59 (list price $59.99). Logitech K750 Wireless Solar Keyboard (Apple Layout) for $37.50 (list price $59.99). Today only! Bowers & Wilkins P3 Portable Headphones (Recertified) for $89.99 (list price $199.99). Dell Inspiron Micro Intel Celeron J1800 Quad-Core Mini Desktop w/ Win8 for $129.99 (list price $199.99). LG 43LF5900 43" 1080p LED HDTV + $100 Dell Gift Card for $399.99 (list price $599.99). Meccano Mecanoid G15 Programmable Robot for $127.99 (list price $179.99). $20 off Kindle eReaders & Fire Tablets Anker Wireless Qi Charging PowerPort for $12.49 (list price $59.99). Ending soon with limited stock left! Sony Playstation 4 Star Wars: Battlefront Bundle for $299.99 (list price $349.99). Dell Inspiron 17 5000 Intel Core i7-6500U 17.3" 1080p Win7 Pro Laptop (8GB/1TB) + 4GB AMD R5 GPU for $749.99 (use code DELLBIZ50 - list price $952.99). Lenovo Y50 UHD Intel Core i7-4720HQ 15.6" 3840x2160 Touchscreen Laptop w/ GeForce GTX 960m for $899 (use code USPY5591210 - list price $1549.99). Lenovo Yoga 3 Pro 13.3" 3200x1800 Touch Intel Core M 2-in-1 Touch Win10 Laptop w/ 512GB SSD & 8GB RAM for $849 (use code USPYG3US1210 - list price $1649). Lenovo U31 Intel Core i7 Dual-Core 1080p Touchscreen 13.3" Laptop w/ GT 920m GPU (only 3.3lbs) for $679 (use code USP3US1210 - list price $1619). Dell Optiplex 9020 Micro Intel Core i7-4785t Quad-Core Mini Desktop w/ 128GB SSD & 8GB RAM for $831.21 (use code SAVE50PC and SAVE35%DEC - list price $1356). $30 price drop! Intel NUC Intel Core i5-5250u Dual-Core Mini Barebones Computer for $260.30 (list price $349.99). LG 55UF6800 55" 4K UltraHD LED Smart HDTV + $200 Dell Gift Card for $899.99 (list price $899.99). Vizio E40-C2 40" 1080p LED Smart HDTV + $100 Dell Gift Card for $349.99 (list price $429.99). JBL Jembe 12 Watt Speaker Pair for $19.99 (list price $59.99). TRENDnet N300 Wireless 802.11n Gigabit Router + Range Extender + $15 Dell eGift Card for $39.99 (list price $59.99). Logitech Wireless Anywhere Mouse for $26.59 (list price $59.99). Logitech K830 Wireless HTPC Backlit Keyboard w/ Built-in Touchpad for $57.75 (list price $99.99). Logitech Z523 2.1Ch 40W Speakers w/ 6.5" Down Firing Subwoofer for $55.24 (list price $99.99). Lytro Illum 40 Megaray Lightfield 8x Camera with Constant f/2.0 for $379.99 (list price $1299). Amazon Kindle 6" eReader w/ Special Offers for $59.99 (list price $79.99). Kindle Paperwhite High Res eReader w/ Built-in Light for $99.99 (list price $119.99). Amazon Fire HD6 Quad-Core 1280x800 6" 8GB Tablet for $79.99 (list price $99.99). Anker Wireless Qi Charging PowerPort for $12.49 (list price $59.99). Ending Soon! Sony Playstation 4 Star Wars: Battlefront Bundle for $299.99 (list price $349.99).